Private villa with panoramic views Alcalali. This Private villa is tucked away on a sought after residential estate. Surrounded by wide open spaces, fresh air and soothing green vistas the well built villa has four bedrooms, three bathrooms 236m2 on a low maintenance plot of 790m2. The villa is built over two floors. Modern, enhanced by a recent refurbishment. The villa has tiles throughout, providing a cool respite from the summer heat. There is an open plan layout with generous areas accommodating the fully equipped kitchen, dining and living room. Furthermore you have direct access from these rooms to the covered terrace which spills out to the open terrace, gardens and swimming pool. Hallway leads to three double bedrooms with fitted wardrobes, two bathrooms one of which is en-suite. Outside stairs lead to the Guest suite. The garden is of low maintenance with open terraces surrounding the swimming pool. This is a clean ready to move into villa. Located in good position. Ideal for families. Close to several villages. 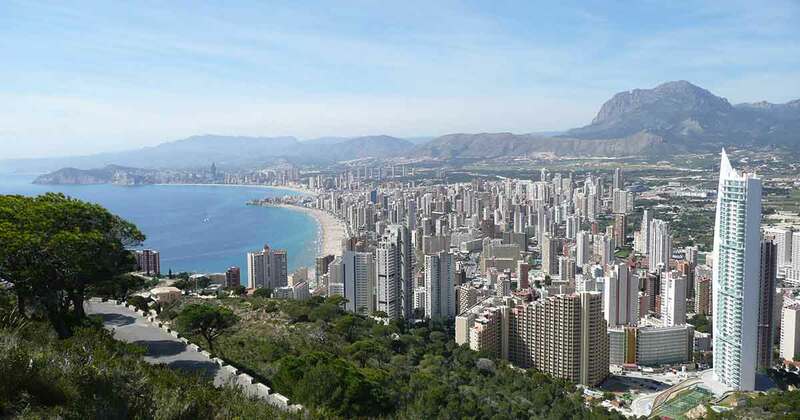 You approximately 20 minutes drive to some of the best beaches the Costa Blanca has to offer. One hours drive from Alicante and Valencia airport. You are enquiring about 4 bedroom house / villa for sale in Alcalali, Costa Blanca and your enquiry will be sent directly to Jacaranda Spain. Want the latest properties in Alcalali, Costa Blanca in your inbox?